I am very proud to be the Headteacher of such a superb school. I am very well supported in my role by teaching and support staff who have children at the heart of every decision they make. My regular learning walks around the school allow me the opportunity to see great teaching in action. Our students are focused, engaged and ready for the challenges that learning at Henry Beaufort brings. I meet on a regular basis with students to hear their views on the school and how we can make it an even better place to learn. They talk to me about the ambition they feel for themselves as well as how that ambition is supported by their teachers and tutors and Heads of Year. The community atmosphere of the school is very important to us all and it is one of the reasons that we operate a vertical tutoring programme, allowing students of all ages to work together in a structured pastoral environment. I am delighted to be working at The Henry Beaufort SchooI; taking the next step in my career. I have found my first year here to be very positive and welcoming. I have been working in Education for 17 years across a number of different phases. My background is in financial management, however I have a number of years’ experience in managing professional services including Human Resources, Student Welfare and Developing Processes. My aim here at The Henry Beaufort School is to drive improvement in processes and ensure a smooth transfer of information between school and home. I am also responsible for setting and managing a balanced budget; facilitating the teaching and learning and support received by our students. I have been a teacher for 28 years and in all of this time my educational core values have remained unchanged. I believe that if you build strong relationships with students, challenge them appropriately and give them high quality feedback they will be able to achieve their best. I want all of the students at The Henry Beaufort School to be self-assured, mature and ambitious young people who are ready for the next exciting stage in their lives. The Henry Beaufort School is a unique place to work; I consider it such a privilege to be a part of such a great team of staff and students. As well as teaching English, my role centres around ensuring the systems and procedures are in place to ensure that every child is reaching their academic potential, through tracking their progress, setting their targets and reporting their current levels of attainment in reports. I am delighted to be part of the fantastic staff here at The Henry Beaufort School. I started here in September 2015 after relocating to the south coast and have enjoyed the last three years with oversight of the pastoral team. From September 2018 I will be changing responsibilities within the Senior Leadership Team. I will move from the Designated Safeguarding Lead (DSL) to Deputy DSL. For the academic year 2018-19 I will have oversight of the Humanities team in terms of Senior Line Management and acting Academic Leader, working closely with Miss Assinder and Miss Bruins who share the role in assisting the Academic Leader. Another part of my role is to ensure the wellbeing of students through continuous wellbeing opportunities for staff. I am responsible for the CPD opportunities of the staff and drive the training needs of the school, including the induction process of new staff. I will work closely with the other local Schools and Universities to provide training opportunities for all our staff. 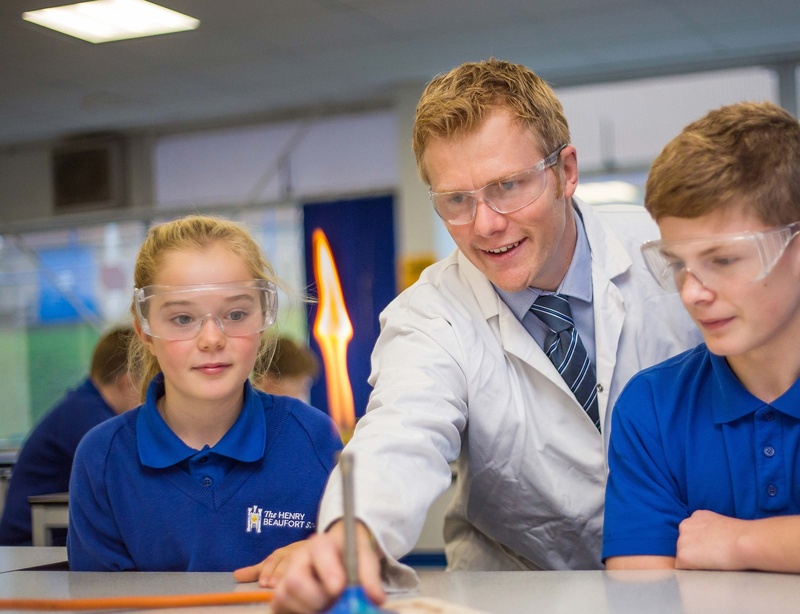 I have been teaching for twelve years in a range of schools across Hampshire. I understand the importance of working in a school where you wholeheartedly support the ethos, which is why I have spent the last 7 years here at Henry Beaufort. During this time I have taken on responsibility for leading the Science department and recently I have taken up a position as an Associate Senior Leader.